We think we’re pretty good. But don’t just take our word for it. Here’s what just a few of our happy clients had to say about us. 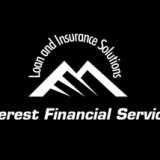 We would highly recommend Everest Financial Services to all our family friends for there excellent services and dedication towards there customers. We have used other mortgage brokers before but to deal with Mr. Prateek Malhotra we found that it was very pleasant, He looks after his customers very well. Mr. Malhotra has done our mortgage refinance, Life Insurance at a better deal. Prateek, you made our life a lot easier and also we would like to thank you for the effort you have done to get our home. We will be letting all our friends and family know about you and your service. Highly recommended, we live in Sydney, Australia and were recommended by one of our friends to Prateek. We found him a honest, proactive, attentive and very helpful. He has dealt with the banks on our behalf, as we did not have a lot of spare time. He made the whole process pain free and very easy. Your sevice was very good, I am thankful to you because I had only one week time I was worried and I came to you and you help me approved my loan. I also recommend you to my family & friend. Thank you so much for your help. I have used the services of Everest Financial Services, when I swapped banks on my home mortgage the process was a breeze, thanks to the excellent communication of Prateek. He got me a great deal and interest of his clients was his priority. Subsequent follow up work by his staff was up to very high standards. We sought Prateek’s assistance in purchasing our first home thanks to somebody’s recommendation, and we could not have asked for a better service. Prateek was always patient and happy to explain anything, always answering queries very quickly. On top of that, he was surprisingly efficient at organising everything through the bank, including pre-approvals and the actual final approval, which we certainly appreciated in a market where you need to move fast. I have already highly recommended Prateek’s services, and extend that to anybody reading this, as we’ve been extremely satisfied with all of his help in getting us into our first home. Thank you Prateek and Everest Financial Services. We are really happy with the services provided by Prateek as he makes the loan application process easier than going directly to the bank itself by ensuring that we have the right documents required by the bank for submission. He is very professional, meticulous as well as very honest and open with our queries. We would gladly recommend him to our friends. I would like to give feedback to Everest home loans. We have had a very good bond with them.They have always been supportive and very helpful when ever we needed some advise or help from them. At the moment, we are in a process of applying for a top up on our construction loan as well which we have once again gone through them. I would like to thank you all for your great service. First of all thank you for being so totally great through this whole process. I always felt I could call and get good advice from you, which is honestly rare in this whole house buying process! So, thank you! Not only you made it easy but saved me a lot of time and money. Also, I would like to thank you for helping me sort out the insurances. I would love to deal with you again in future whenever I need to. I wish you all the best for your success. Hi Prateek, thanks for your help with the purchase of our first home, the loan was set up fairly easily with no hassles and same with the insurances too. We have dealt with an adviser for the first time and would definitely recommend you to our family and friends. We were first home buyers in 2013. Everest (Prateek) ensured we were informed of all our options and gave us the best rates possible at the time. The due diligence was up to expectations and the whole process felt smooth and well handled. Thus Prateek was also asked to handle our Insurance needs, which were subsequently organised in the same professional manner as we had come to expect. I would recommend Prateek to any of my friends and family. We Wanted to thank you for all of your help wth purchasing our new home. Your service was at all times professional and reliable. You always delivered and we really appreciate this. We wish you every success as we fee you deserve it. Our first home purchase was not a straight forward one, and somewhat complicated. When speaking with Prateek about a home loan he gave no indication that it was going to be difficult and did not say no to our requests.He has been most helpful during this stressful process, and giving advice along the way. Prateek even went the extra mile to help us organise our insurances. We cannot thank him enough for his hard work behind the scenes and would highly recommend him to anyone looking for a mortgage broker! You’re awesome Prateek and only wish we had come across your services sooner. Through a recommendation from friends, we engaged Prateek Malhotra to assist us with the purchase of our dream home. We have been extremely impressed by Prateek’ s reliable, professional and approachable way of working. As buying our home was a very new experience for us, we were somewhat daunted by the process. It was great being able to pick his brain and benefit from his vast experience in an area where we were just beginners; alongside his willingness to answer our many basic questions and his proactivity in ensuring we were able to secure a low interest rate for our loan. We would highly recommend Everest Financial Services, Auckland and will definitely continue for any future mortgage matters.